Roger Mayer is the Father of the Fuzz. Oracle of the Octavia. His early effects for the likes of Jimi Hendrix, Jeff Beck and Jimmy Page changed the way we listen to and play guitar, and he's still making great gear today. Join us for a chat about why analog is superior to digital, what it was like to work with Jimi Hendrix, and the emotion-heightening impact of a well-placed effect. Be sure to visit Roger's website at roger-mayer.co.uk. 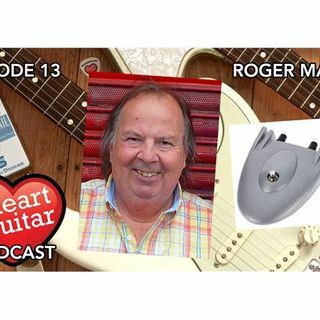 If you'd like to help support I Heart ... Más informaciones Guitar, visit patreon.com/iheartguitar to support the podcast and gain access to subscriber-exclusive episodes, or email me at peter@iheartguitarblog.com if you'd like to kick in a few bucks, and I'll direct you to my PayPal account.